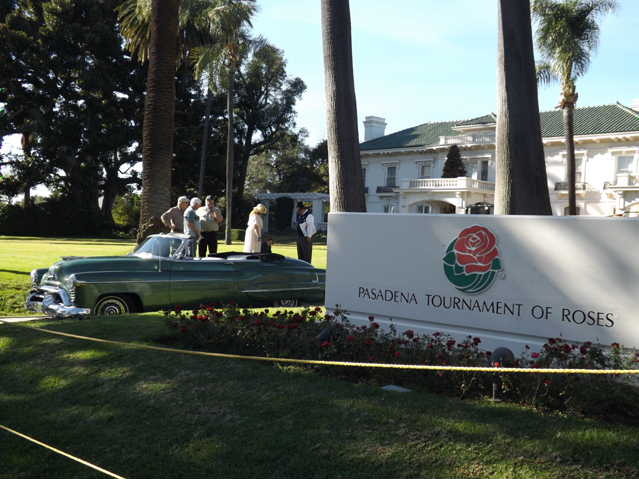 Oldsmobile Club of Southern California member, Dave Munyon’s 1950 Oldsmobile was selected by the Rose Parade to transport “The Voice of Dodger Baseball” and Rose Parade Grand Marshall Vin Scully in the 2014 parade. Tune in to the parade on New Year’s morning and look for Dave’s car. 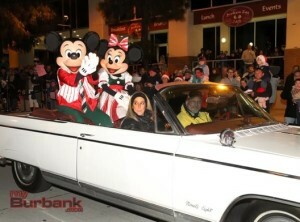 to The Burbank Tree lighting ceremony. Congratulations to Keith Berg. He was honored with for his years of Dedication, Support, Knowledge and his Representation of the 50′s class of cars both on the street and the race track. He set records that stand today. He is always willing to help a fellow member with his or her 50′s project. His car is a beautiful representation of the 50′s era of our beloved cars. He and his wife are the original owners of his beautiful red car. The Lifetime Achievement Award comes with a Lifetime Membership to our club. 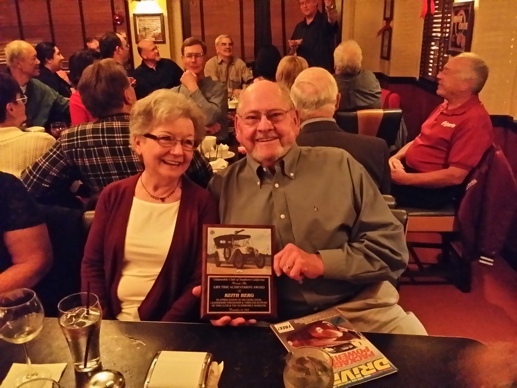 Keith, we thank you for all you have meant to Oldsmobile history and done for our club.